I am approaching the end of the project. 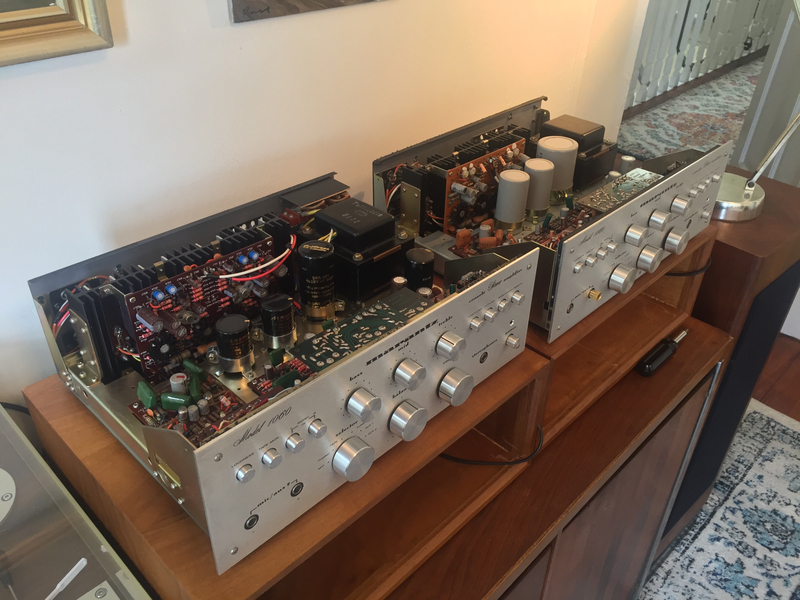 This 1060 phono preamp sounded phenomenal even with the old caps. I started to replace the resistors and electrolytic, the plan is to replace it all. As on the other boards the original films and polystyrene capacitors will stay, no need to replace those. The original green Nissei films are good sounding and the polystyrene capacitors last forever, have low distortion and 1% tolerances. Lots of hard work -- maybe you should fabricate a couple of Plexiglass tops to show it off! Thank you mhardy6647! I find these vintage circuits very aesthetically pleasing. 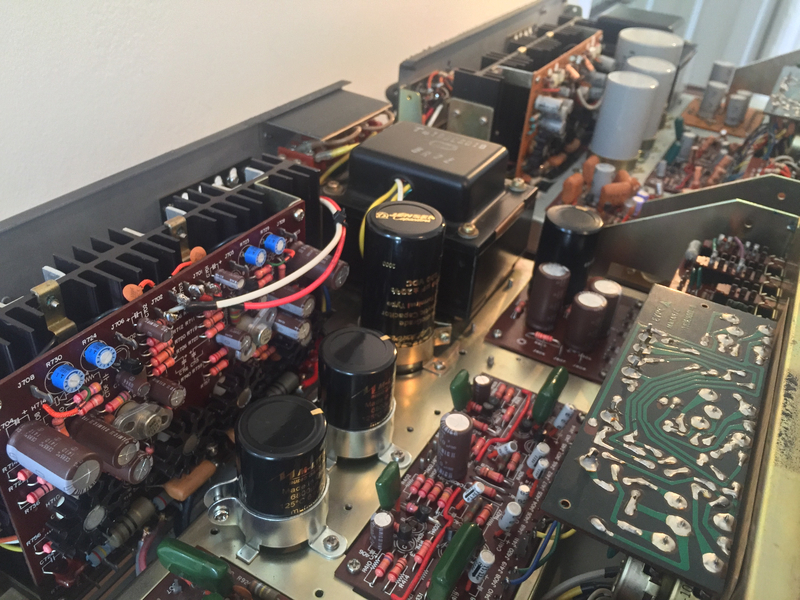 One upgrade that is worth mentioning, Marantz had implemented this mod on later unit. 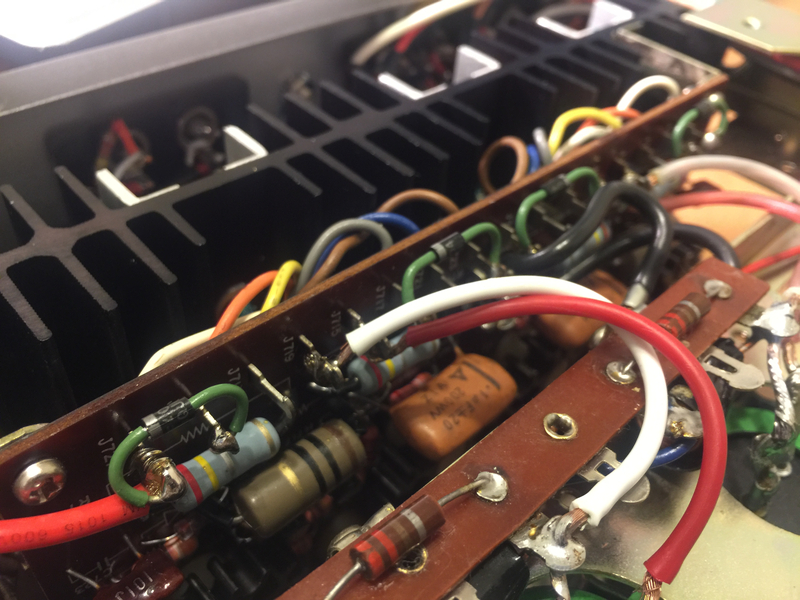 To protect output transistors, a pair of diodes (UF4004) per were installed on the back of each power amplifier to function as flyback diodes for the output stage of each channel. I consider this project successful, thanks to all the mentors at AK Marantz forum for their invaluable source of knowledge and kindness! 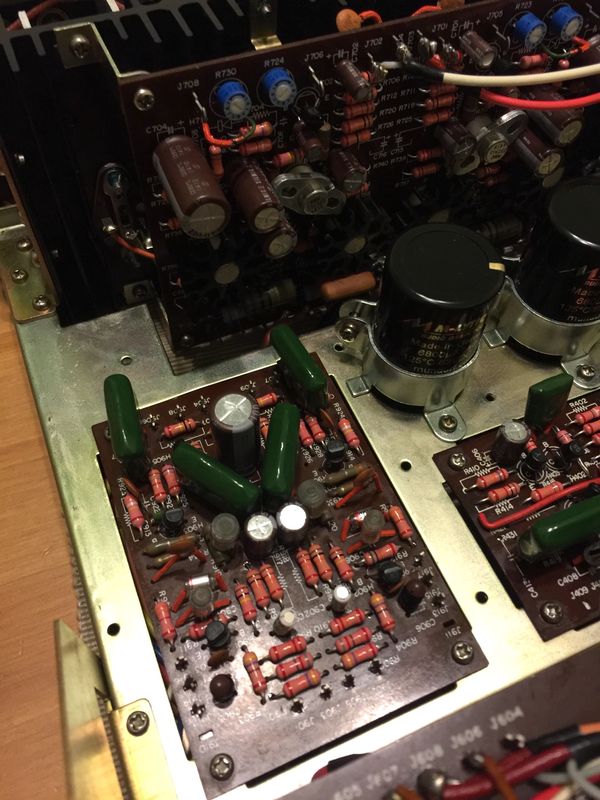 These little amps totally deserve restoration, it’s a great piece. The service manual can be downloaded at Hi-Fi Engine, It has the schematic dwg, full part list broken down by type and locations, also the board layouts which was very helpfull to plan the work. 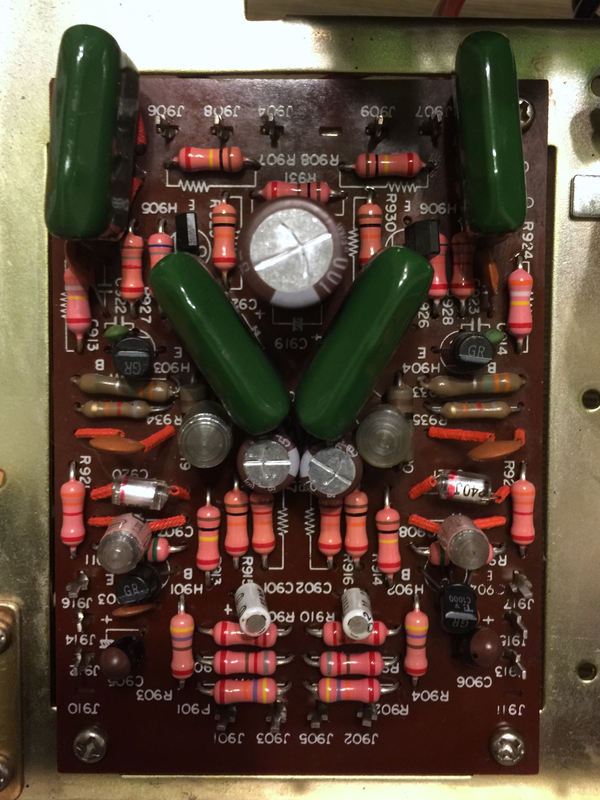 The transistors have modern substitutions. It’s highly recommended to replace all 2SC458 transistors with KSC1845. Also, power supply H801 can be replaced with KSC2383YTA. There are a couple on the phono board. 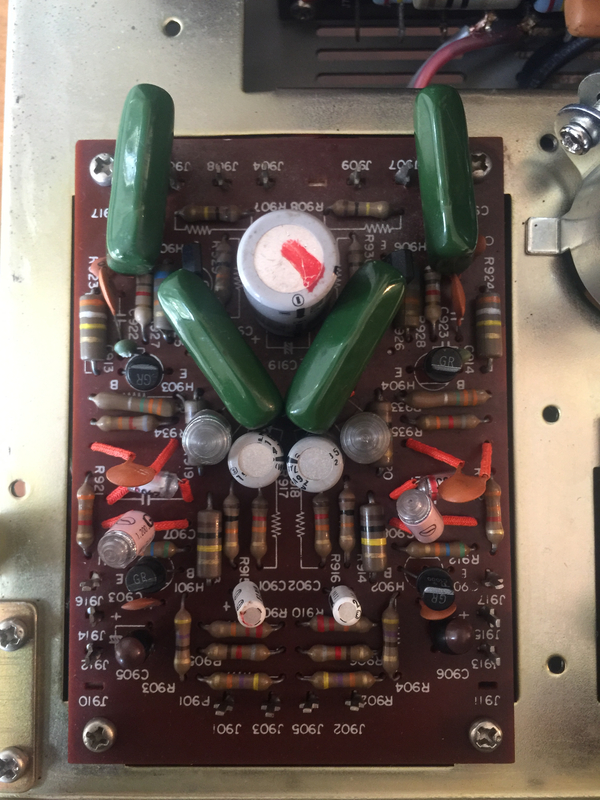 I read that there’s eight 2SC1000 transistors on the preamp that can be replaced with 2SC1815 in case originals become noisy. It’s also recommended to upgrade diodes H802 and H803 with a fast soft recovery UF4005. 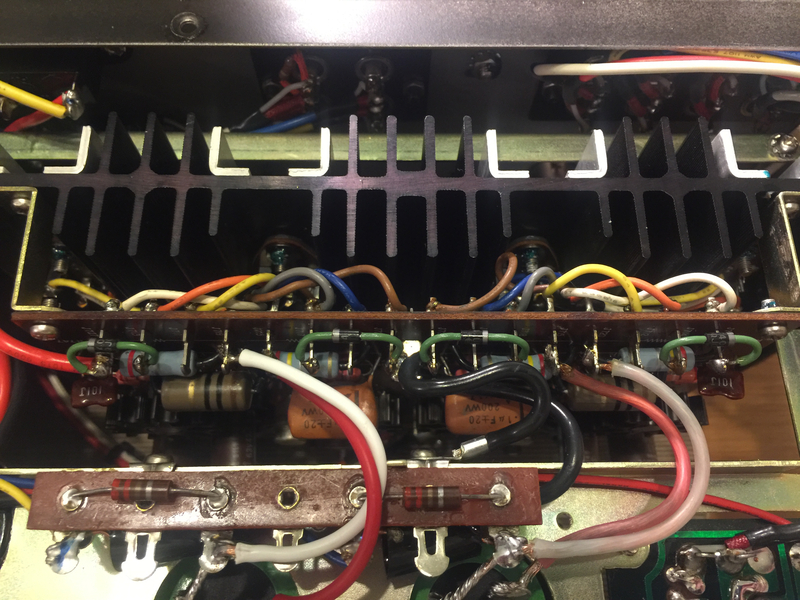 There are another 2 diodes on the power amp that should replaced. The amp plays several hours daily since rebuilt. It is difficult to turn it off. I understood the importance of “burning in time”, there was noticeable changes throughout the process. It superseded all my expectations, sounds much better than the original without loosing its identity. I never heard the original unit when new, but I like to believe that this one maybe sounding close to what it sounded when new. I have been considering increasing the scope and maybe replace RCA jacks, speaker terminal and the skinny old power cord.? !